FRESNO, Calif. (KFSN) -- The Central Valley has its very own real-life Batman. 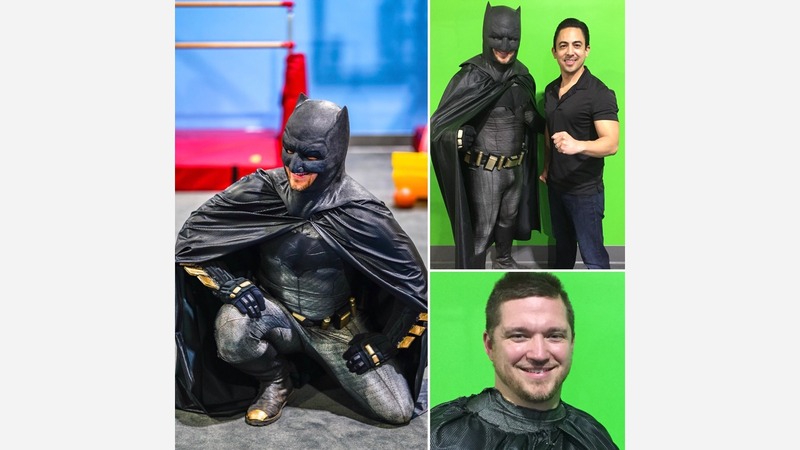 While in costume, he brings joy to children at hospitals and schools. Out of costume, he's saving lives as an emergency room nurse at Clovis Community Medical Center. The man behind the mask is Derek Brown. He put the costume together about three years ago and has suited up at Valley Children's Hospital, a children's hospital in Southern California, a Madera soup kitchen, local elementary schools, and at a number of community events. Most recently, he appeared at a fundraiser for a Clovis boy battling cancer. "Honestly it has been and will continue to be a truly unique and blessed experience," he said. "I am so grateful I get the opportunity to dress up as my favorite hero and bring smiles to everyone." Batman has always been an inspiration to Derek, especially the super hero's backstory of overcoming a tragic event. In the original Batman story, Bruce Wayne witnesses the death of his parents. Derek says he didn't have the best childhood, so being able to bring joy to children going through rough times has been awesome. He was also inspired by philanthropist Lenny Robinson, known as the Baltimore Batman, who would visit kids at hospitals in the Baltimore, Maryland-area. "It also makes adults smile as well - I think it brings the childhood joy out."